Ryobi has long aimed at delivering good tools at great prices, and they’ve hit that bullseye most times for more than a decade. The interesting thing is how Ryobi’s definition of “good” keeps on rising. They continually up the ante on quality and innovations, and their TEK4 line still leaves me impressed after almost three years of using the stuff. Impressed, but not surprised. TEK4 is a collection of reasonably priced cordless tools that all use the same 4-volt, rechargeable, interchangeable lithium-ion battery. What makes this collection work so well is the performance of the batteries, the ease of keeping them charged, and the quality and innovation of the tools they power. Lithium-ion batteries are powering more and more cordless tools because they’re light weight, they hold lots of energy without discharging between uses and they pose less environmental risk than traditional nickel cadmium batteries. Each TEK4 battery is most closely comparable to a pair of AA cells, though TEK4 is more powerful. One TEK4 cell is rated to last 2000 charge/discharge cycles, replacing more than $5000 worth of alkaline AAs. 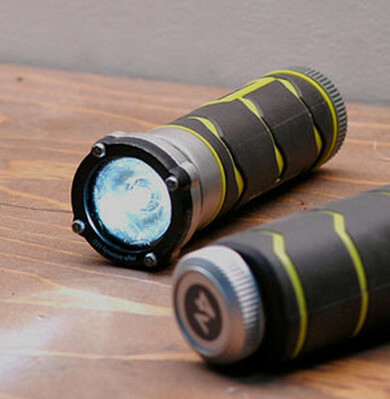 Home Depot offers TEK4, and one of my favourites is the LED flashlight. It’s simply the brightest, slickest, and longest lasting flashlight I’ve ever used. It’s also small enough to fit in my pocket. The beam is white and super-bright (almost too bright), and it shines for six hours on a single charge. You turn the thing ON and OFF by rotating the end, but that description doesn’t do the operation justice. The mechanism moves with such smoothness and precision that I find myself turning the flashlight ON and OFF just for fun. A cordless screwdriver is available and so is a set of headphones. I use the latter in the workshop and at my computer all the time. And though I admit that the ear padding is somewhat less soft than other headphones, I use them over and over because they cancel sound out so well. There’s only one downside; the TEK4 line is enormously large in the US, but smaller than it used to be in Canada. 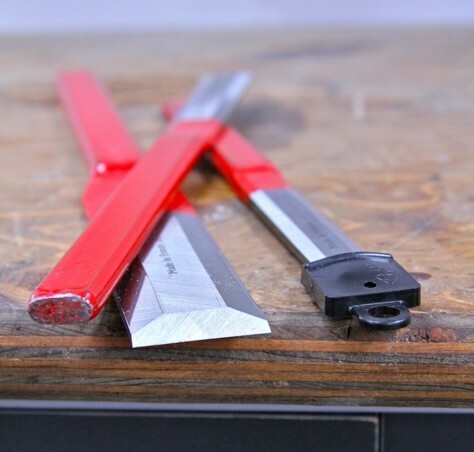 The Home Depot is the only source for TEK4, and for some strange reason they no longer offer many of the TEK4 tools these used to. Perhaps a word from some of us Canadians will convince Home Depot that they should be carrying the full TEK4 line up here.